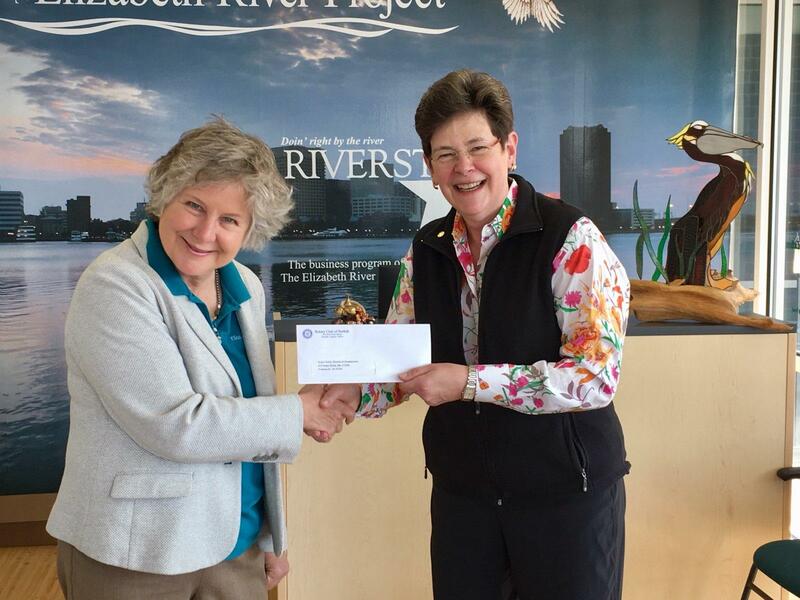 Marilyn Gowan presents grant check to Elizabeth River Project representative Marjorie Mayfield Jackson. Norfolk Rotary Charities has awarded $41,009.19 this year to 23 local deserving non-profit organizations. We received 49 qualified applications from organizations seeking a total of $131,257.00 in grants. A summary spreadsheet listing the charities, their missions, and how they will use grant monies awarded, will be published separately.